For much of my life, I thought “Canadian bacon” was just a quirky and misinformed American term for ham. Kind of like French fries. Turns out, I had never eaten back bacon nor could I figure out what was particularly Canadian about bacon, back or otherwise. One of Toronto’s historic nicknames is “Hogtown”. The main reason it seems to have stuck is due to an abundance of pork packing and processing, particularly by the William Davies Company which was at one time the largest pork packer in the British Empire. William Davies came to Canada from England in 1854. He got his start selling cured pork and bacon at Toronto’s St. Lawrence Market, where he developed a type of back bacon called “peameal bacon” that was rolled in ground yellow peas to extend its shelf life. 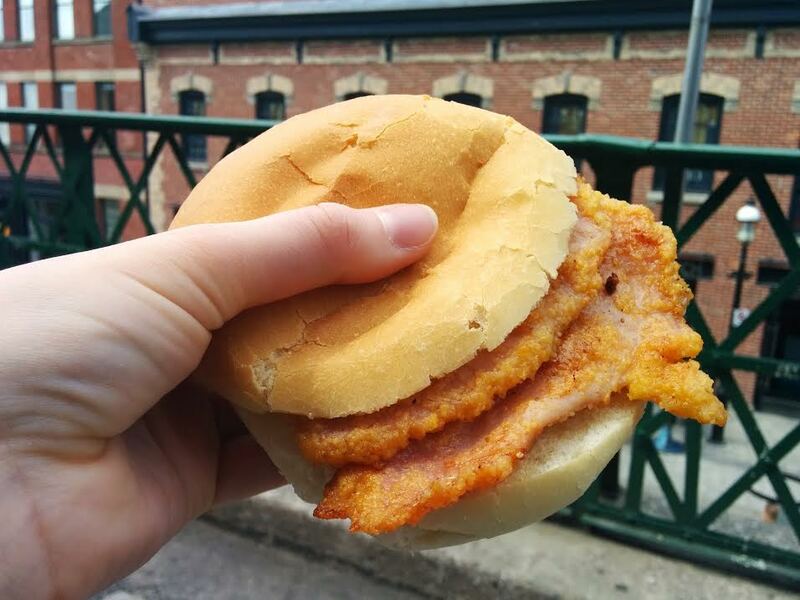 Peameal bacon is now rolled in cornmeal and the famous sandwiches are still a staple of the St. Lawrence Market, and around Toronto. 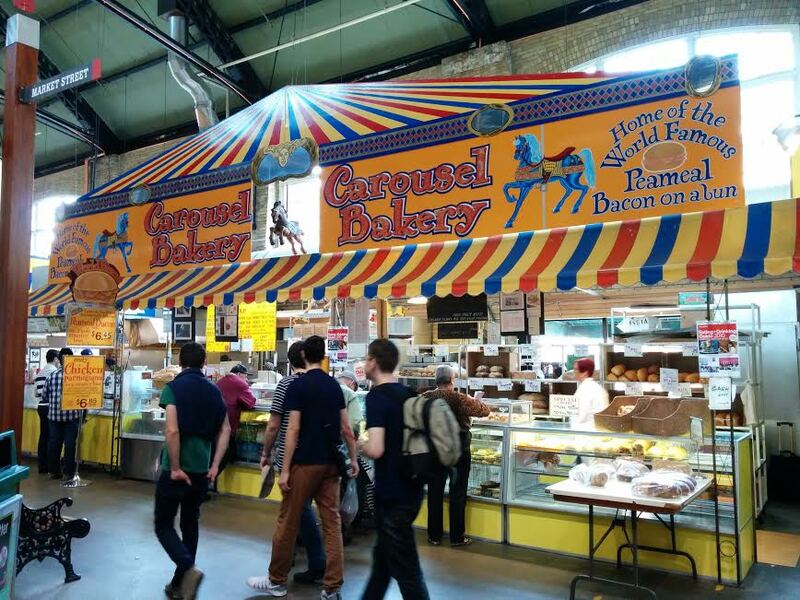 The most famous place to get said sandwiches is at the brightly coloured Carousel Bakery in the St. Lawrence Market. This is where I made a beeline to on a recent trip to Toronto. 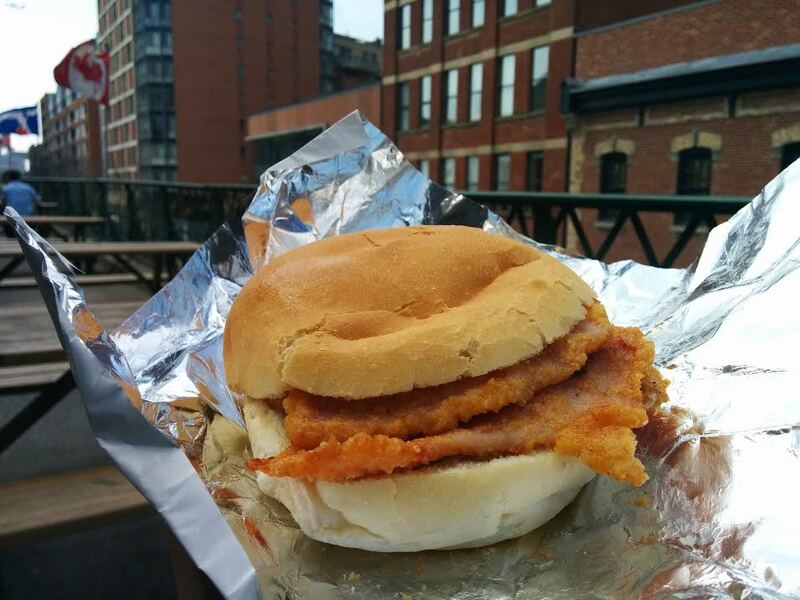 This is what my sandwich entailed: peameal bacon, on a bun! Sometimes simplicity is the best recipe. Other toppings/sauces are available, apparently, if that floats your boat. I gleefully grabbed my sandwich and ran outside to eat it at a picnic table. I really enjoyed the simplicity of this sandwich. 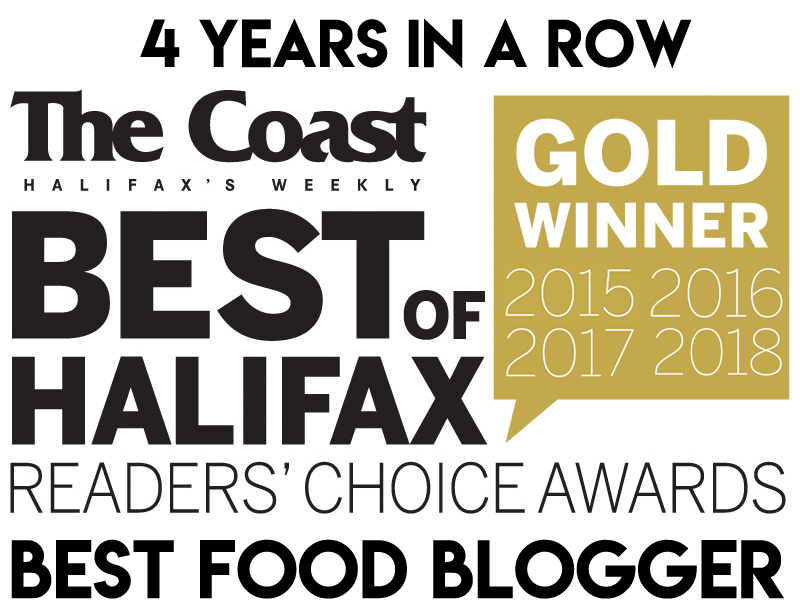 I was reminded of my disappointment when the Canadian Bacon Cookhouse opened on the Halifax Waterfront and only served gussied up bacon sandwiches, with nary a nod to the original Canadian classic. Bacon took a back seat to trendy ingredients. The palate was bombarded with the likes of caramelized onions, cilantro mayo, portobellos and goats cheese – entrapped in a cheap kaiser bun. 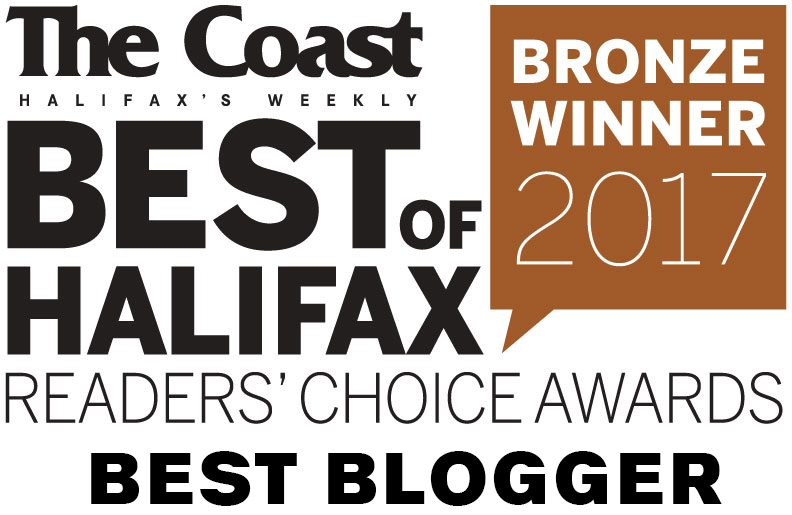 Most disappointing was that peameal bacon only appeared on one sandwich. It is all too typical these days for places to serve “gourmet” versions without paying homage to authenticity. Sometimes this is executed well, with quality ingredients and flourish. Other times, you end up with an over-priced sandwich. 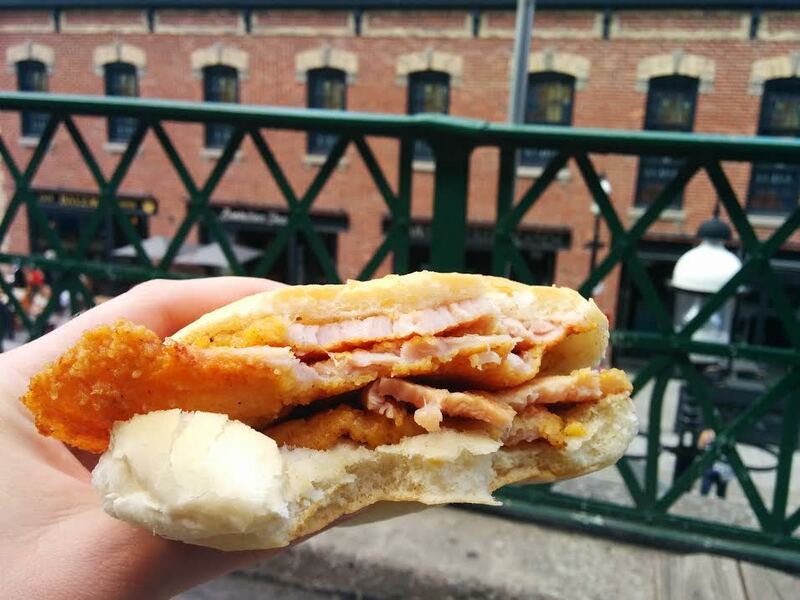 Then again, some say the St. Lawrence Market Peameal Bacon Sandwich is nothing special – merely a product of history and hype.